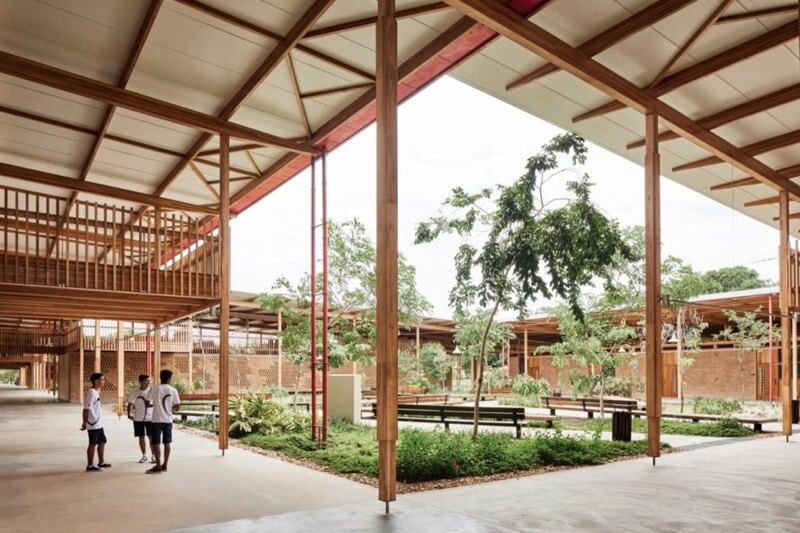 On the edge of a rainforest in northern Brazil, a recently built school complex by Brazilian architecture firms Aleph Zero and Rosenbaum has been awarded the RIBA International Prize 2018 for the ‘world’s best new building.’ Dubbed Children Village, the contemporary project earned praise not only for its beautiful and low-impact design but also for its social impact as boarding accommodation to 540 children aged 13 to 18 attending the Canuanã School. The winning entry was selected by a grand jury chaired by visionary architect Elizabeth Diller of Diller Scofidio + Renfro. 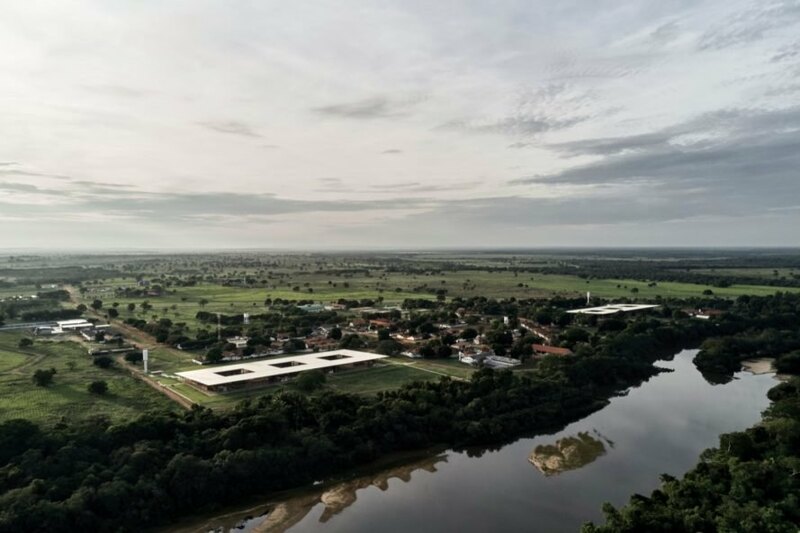 Funded by the Bradesco Foundation, the roughly 25,000-square-meter Children Village is one of 40 schools backed by the foundation that provides education for children in rural communities across Brazil. 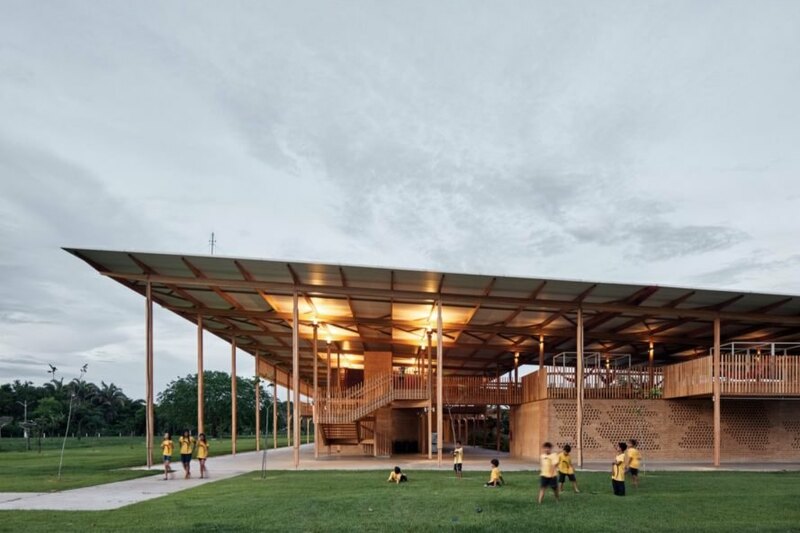 The architects — Gustavo Utrabo and Petro Duschenes from Aleph Zero along with Marcelo Rosenbaum and Adriana Benguela from Rosenbaum — worked closely with the children while designing the school. Key to the design was creating an intimate environment that felt like a “home away from home.” Instead of dormitories for 40 students, for instance, Children Village offers rooms for six children as well as a mix of private and public spaces that cater to study, play and relaxation. The school comprises two identical complexes: one for girls, one for boys. 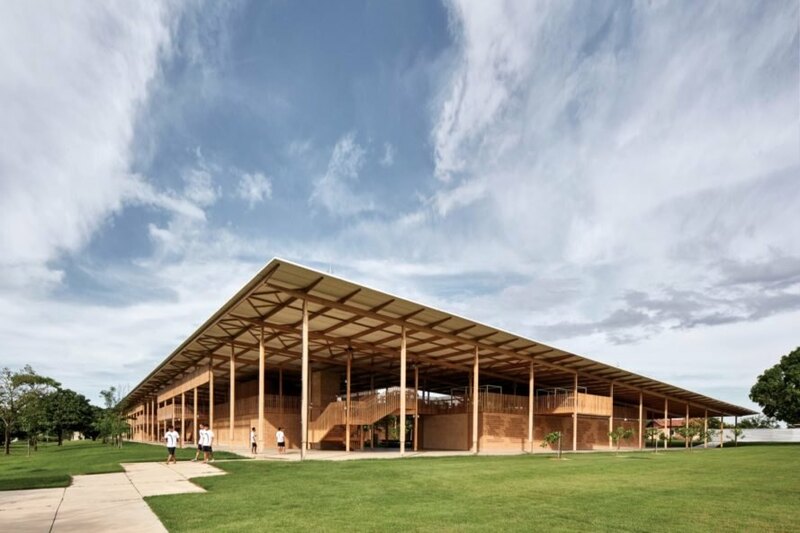 The building has been praised for “reinventing Brazilian vernacular” by bringing together a contemporary aesthetic with traditional techniques and local resources. The architects also drew from the local vernacular to mitigate the sweltering summertime temperatures in a cost-effective and sustainable way. For instance, the large canopy roof built from cross-laminated timber beams and columns allows for cooling cross-breezes as well as shade. Earth blocks handmade on site were also used for the walls and latticework. The Children Village by Aleph Zero and Rosenbaum has been awarded the RIBA International Prize 2018. The school has been crowned as the world's best new building this year. The school accommodates children ages 13-18. Two identical complexes provide boarding for girls and boys. Plenty of greenery was incorporated into the design. Rather than the former dorm rooms for 40 students, each new room accommodates six children. 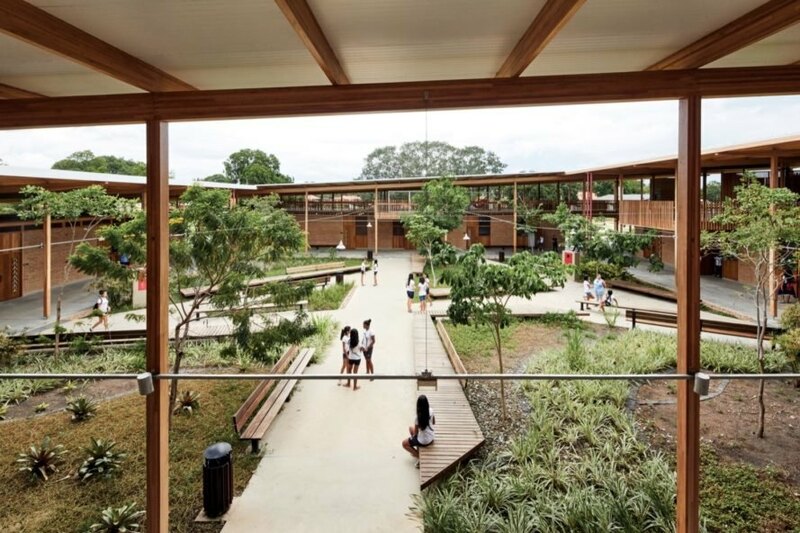 The architects worked closely with the children to design a school that meets their needs. The school exudes a modern design mixed with traditional techniques and materials. 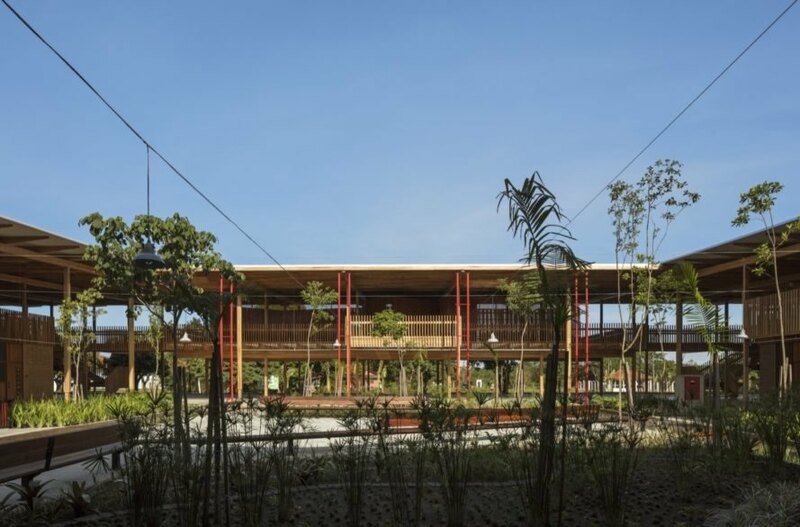 Children Village is located on the edge of a Brazilian rainforest.